The latest housing market results showed conditions continuing to moderate in the capital cities, particularly in Sydney. But the Melbourne market remains resilient, and Hobart continues its current winning streak, with dwelling values surge 14.3% higher over the last 12 months. The effects of macro prudential controls on investment are also clear, with increased first home buyer activity across the major markets. We’ve included the national property market video below, along with a transcript. Also, you can get acquainted with local reports for Sydney, Brisbane and Melbourne. Welcome to Core Logic’s update on the housing market for October 2017. Welcome to CoreLogic’s October housing market update. This month we’re providing an overview of how the housing market performed over the September quarter, and we’re reviewing some of the factors contributing to a slowdown in the rate of capital gains. CoreLogic’s national home value index edged to 0.2% higher over the month of September, with dwelling values across the combined capitals up 0.3%, compared with a 0.1% rise across the broad regional areas of the country. The latest figures take national dwelling values 0.5% higher over the September quarter, which is the slowest quarter on quarter pace in capital gains since June of 2016. Focusing on the capital cities, dwelling values were 0.7% higher over the September quarter, which is well below the recent peak rate of growth, which was recorded over the three months ending November 2016. Back then the quarterly rate of appreciation was tracking at 4.2%. The slowing in the combined capital cities growth trend has been heavily influenced by conditions across the Sydney housing market, where capital gains have stalled. Sydney dwelling values posted a month on month fall in September, down 0.1%, and the September quarter saw Sydney values edge only 0.2% higher. That’s a far cry from the peak rate of growth recorded over the three months to October last year when Sydney dwelling values were rising at the quarterly pace of 6.4%. 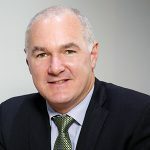 While the Sydney region is looking increasingly like the market has moved through its peak, conditions across Melbourne have been much more resilient. The pace of capital gains has slowed, but dwelling values were still 2% higher over the September quarter. Hobart further cemented its position as the best performing housing market after a recent history of sluggish growth conditions. The past 12 months have seen Hobart dwelling values surge 14.3% higher. That’s the highest rate of annual gains since 2004. The remaining capital cities have shown a diverse performance over recent months. 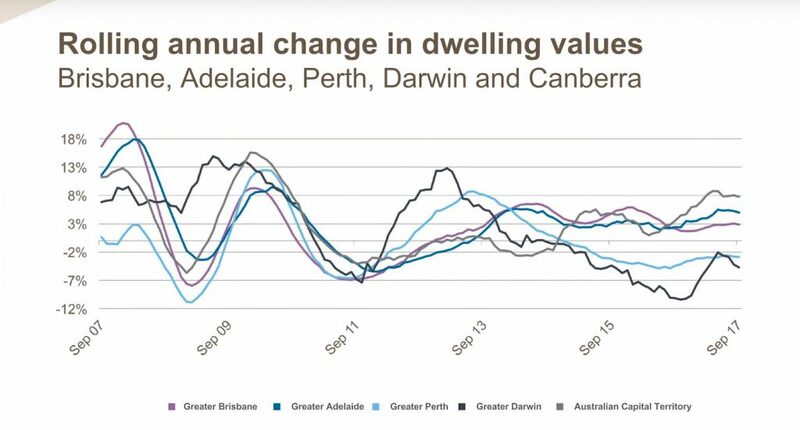 Perth dwelling values look to be moving through the bottom of the cycle, with values edging 0.1% higher over the month. However, values remain down over the quarter and over the year. For Darwin, the housing market isn’t showing the same signs of bottoming out, with dwelling values slipping 0.7% lower over the month, and they’re 4% lower over the September quarter. 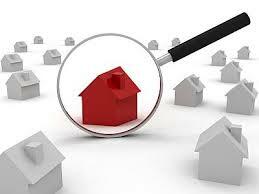 In Brisbane, the market’s been showing a growing divergence between the performances of houses compared with units. House values are up by 0.2% over the month to be 4% higher over the year, while unit values showed an increase over the month, but they remain 2.5% lower over the past year. Adelaide dwelling values held firm over the month, but they’ve shown a 5% rise over the past 12 months. 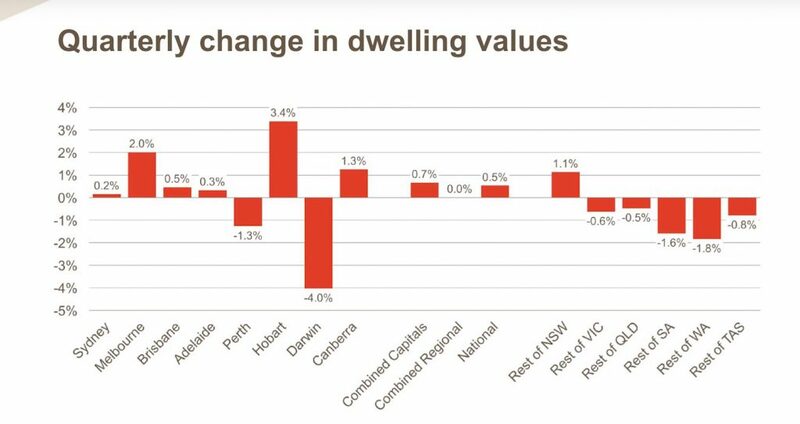 Canberra dwelling values have increased by 7.8% over the past year, with a fairly significant divergence between the growth in houses and unit values. Across the regional areas of Australia, growth rates have generally been lower compared to the capital city performance. The combined regional housing markets saw dwelling values unchanged over the September quarter, compared with a 0.7% rise in capital city dwelling values. Similarly over the past 12 months, regional values were up by 5.6%, compared with an 8.5% rise in capital city values. Despite the overall weaker performance, growth rates have been remarkably strong in some regional markets, particularly those adjacent to the Sydney metro area. The strongest regional performer was the Newcastle and Lake Macquarie region, where values were 15.3% higher over the past 12 months. 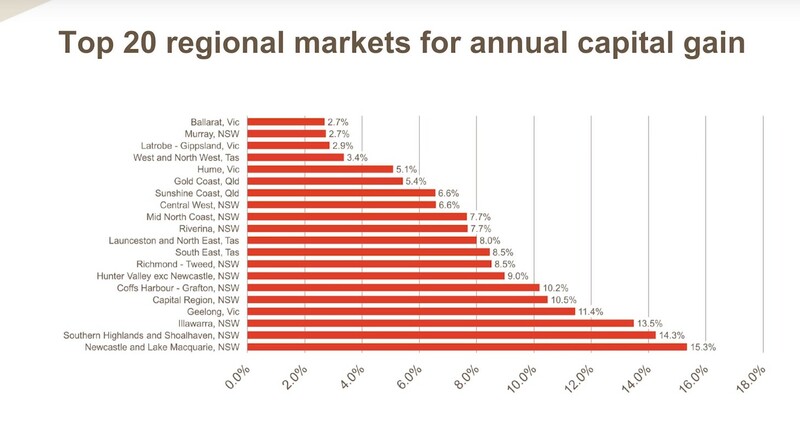 The Southern Highlands and the Shoalhaven region, where values were up by 14.3%, and the Illawarra, where values were 13.5% higher, rounded out the top three regional markets based on the 12 month change in dwelling values. 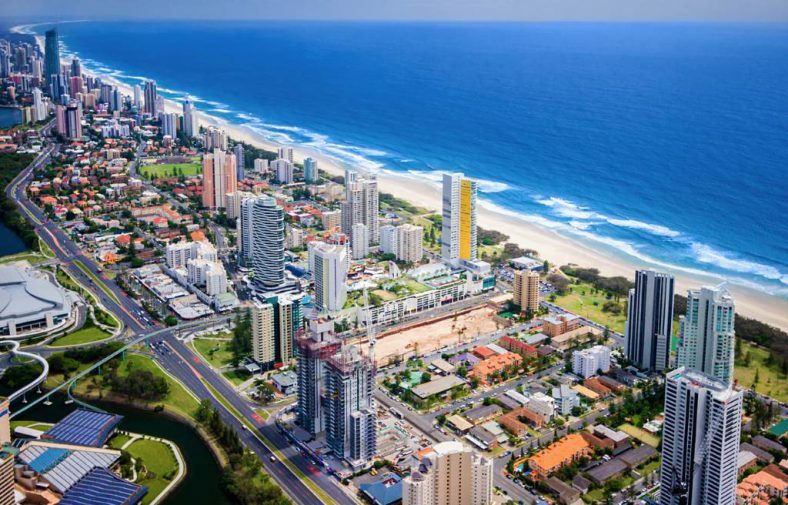 In Victoria, the strongest regional market was Geelong, with growth of 11.4%, while in Queensland, it was the sunshine coast, where the annual capital gain was 6.6%. 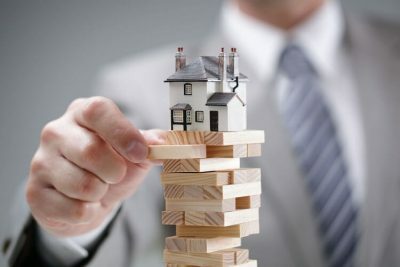 The slowing in housing market conditions shouldn’t come as a surprise considering the recent history of dramatic capital gains across the Sydney and the Melbourne markets. Since dwelling values started rising in 2012, Sydney values have surged by 75%, while Melbourne values are up by 57%. Macro prudential measures introduced by APRA at the end of 2014 and more recently in March of this year have played a key role in curbing the pace of appreciation, particularly in Sydney, where investment has been most concentrated. On the back of changed regulations, investors and interest-only borrowers now face a premium on their mortgage rates. Based on the data to the end of August, variable rate investment loans were typically attracting a 60 basis point premium. While we expect growth rates to continue moderating, at least from a macro perspective, driven by Sydney and to a lesser extent Melbourne, there are likely to be other factors that will keep a floor under housing values. Housing demand fuelled by strong migration has risen during 2017 with the Australian Bureau of Statistics reporting the third highest net overseas migration result on record over the March quarter of 2017. Australia added more than 86,000 new residents from overseas over the quarter, most of which will contribute to demand for Australian housing. Almost 75% of these migrants arrived in New South Wales or in Victoria. While investors are likely to scale back due to disincentives such as higher mortgage rates and low rental yields, first home buyers are a rising presence in the housing market. Based on July data, first time buyers reached their highest level since 2013. 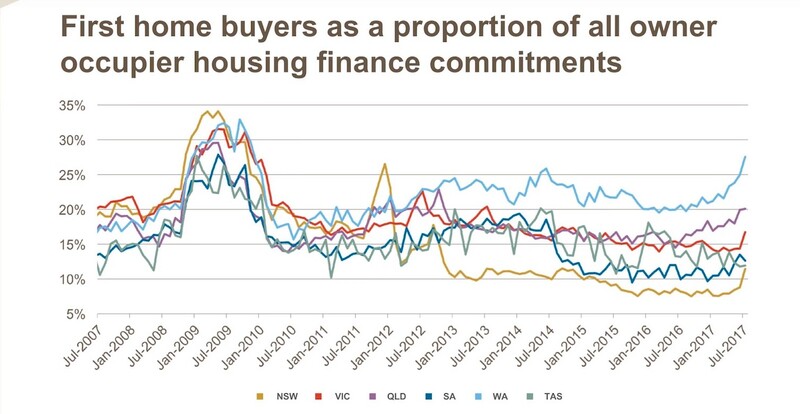 Stamp duty concessions that became available in July for first home buyers in New South Wales and in Victoria helped to push the numbers higher, but other states where incentives were unchanged also saw higher proportions of first home buyer activity. Additionally, mortgage rates are likely to remain close to historic lows. Although the cash rate may rise in 2018, the likelihood of a substantial lift in mortgage rates remains low, considering household debt levels are at record highs. Overall, we’re expecting that growth rates will continue to moderate across the combined capital cities. However, the slowdown is likely to continue to be influenced by weaker conditions in Sydney and to a lesser extent in Melbourne. 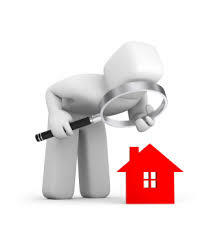 We’ll be tracking the movements in housing market conditions along with other key economic and demographic factors at www.corelogic.com.au.